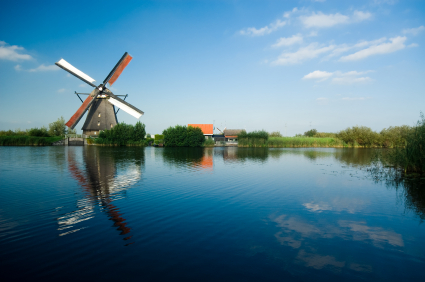 The Netherlands is one of the most beautiful and diverse countries in all of Europe. Its atmosphere of tolerance and open-mindedness makes it a marquee place for people to visit. What the United States considers to be a narcotic, they permit; what is largely illegal, they make legal. It is this country’s dedication to diversity which makes it so attractive to tourists and students studying abroad. subjects taught in international courses include studies in the arts and culture, gender studies, urban planning and design, and many others. Many students find it hard to meet the financial obligations of studying abroad. Fortunately, there are different grants and scholarship programs which allow students the opportunity to engage in cultural exchange programs. The Benjamin A. Gilman International Scholarships are some of the most generous and easily obtainable scholarship opportunities. Open only to students who are already receiving Federal Pell Grants, they provide over 2,300 scholarships yearly to students with financial need. Their main goal is to allow students from groups largely under-represented in other study abroad programs to participate in these exchanges. The groups of people they focus on are those with diverse ethnic backgrounds, students with disabilities, those who attend community colleges, and students with high financial need. They average amount of funding awarded is $4,000, with the maximum amount being $5,000. The Fulbright Student Program is another great way to receive funding for studying abroad. This program aims at giving students the chance to design their own, individual study or research projects or engage in English Teaching Assistantships. While in the host country students will meet, live, work and learn from the native people while also sharing their own culture. Through this program, students get hands-on interaction with individuals in the class-rooms, fields, and homes giving them an appreciation of another’s customs and beliefs. This scholarship covers the cost of travel, room and board, incidental costs, and in some cases tuition, books, fees, and the cost of other language study programs. The School for International Training (SIT) is an organization which works to advance leadership in countries all over the world. They strive to empower people in their own communities to make a lasting difference through education, exchange, and developmental programs. They offer a specific program in the Netherlands called International Perspectives on Sexuality and Gender. This program focuses on following sexuality and gender across borders. Students are encouraged to explore issues related to gender and sexuality based on their own interest. SIT knows these programs can be costly and offers scholarships to help with the financial burden. MSU Federal Credit Union Scholarships- are some of the most widely awarded and generous. Students are considered based on academic record and financial need. Forest Akers Scholarships- students who have high financial need, but aren’t eligible for Pell Grants are encouraged to apply for this award. Office of Study Abroad Freshman Seminar Abroad Scholarships- like its name suggests, this award goes to freshman who are participants in the Freshman Seminars Abroad. For over 40 years the University of Florida has partnered with Utrecht University in the Netherlands to give students the opportunity for international study. This program gives students the chance to study European society and culture with an emphasis on Transatlantic and Netherlands relations. Different courses in European politics, history, business, art history, sociology, and Dutch culture are offered. They offer the Marco Souer Academic Year in Utrecht Scholarship. This award is for undergraduate students with a minimum 3.5 GPA who are in the Utrecht exchange program. It provides $1,000 in funding. They have other scholarships such as the National Merit Scholarship, which gives $2,000 in funding for students in study abroad programs.